Maroon 5 has astonishingly been around for 15 years now. They hit the mainstream in 2004 with the release of their multi-platinum album Songs About Jane, and haven’t looked back, selling over 20 million albums worldwide. One of their biggest hits was 2011’s “Moves Like Jagger” featuring Christina Aguilera. The song and its accompanying music video were inescapable throughout the summer of 2011, and still hold up to this day. This girl is wearing a pair of gray high tops. The song is about a man who has the ability to impress his love interest with his dance moves, which he compares to those of Mick Jagger, the lead singer of The Rolling Stones. It’s a decidedly more pop-ey than previous Maroon 5 songs, and features synths and whistle as the backing track. The chorus is extremely catchy though, and Adam Levine’s lead vocals are superb throughout. The aforementioned whistle is also an earworm in itself, as its melody will be stuck in your head for hours. The opening of the music video. 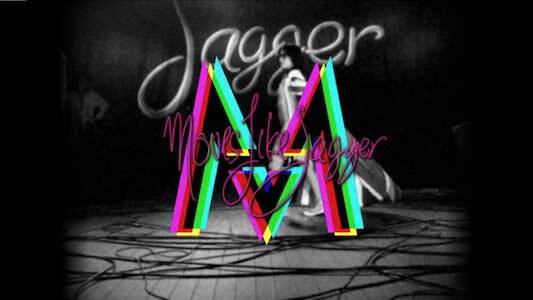 The music video starts out in black and white, intercut with old footage of Mick Jagger doing his dance moves. Eventually, Maroon 5’s brightly colored logo appears over a girl wearing chucks and the song kicks in. There are many people doing their best Mick Jagger impression throughout the video, including Levine and Christina. These two have a great chemistry together and they try to bring it like Mick. However, while no one can ever touch the original, they do a pretty solid homage. The video features a few of the backup imitators wearing chucks, including a girl wearing nothing but a bodysuit that reads “Mick” and a pair of gray chucks. The video is pretty cool with it’s use of color and old Mick Jagger footage, and like the song, has aged well since it’s original release. She’s got the moves like Jagger. Get your moves on in new a pair of chucks by clicking on the links below.